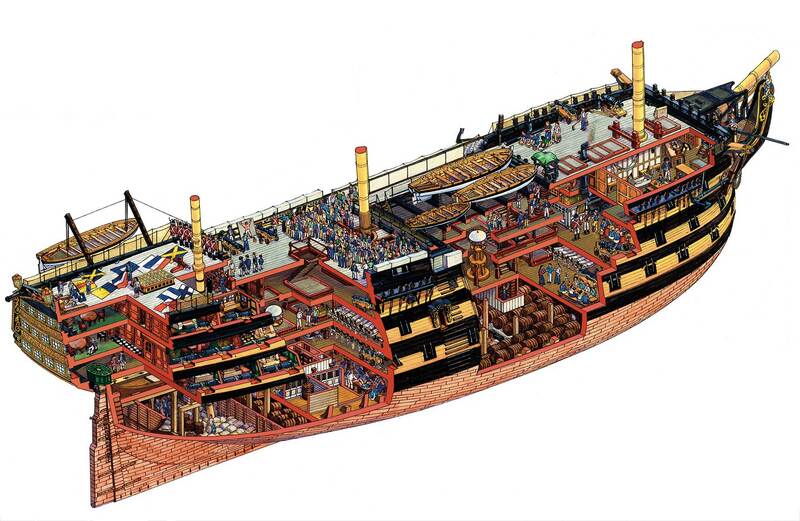 Pirates & Privateers : What did the sailors aboard the HMS Victory eat? A: Sailors kept chickens housed in cages aboard and goats that were sometimes released on bridges. They caught fish and had cattle and pigs they put in a stockyard. These animals providing fresh meat were primarily for officers! The sailors ate dried pea based soups, rotten meat, biscuits infested with worms and hard as stone, and drank stagnant water half muddy! To fight scurvy fresh fruits and vegetables such as lemons, cabbage, onions, etc. were shipped.